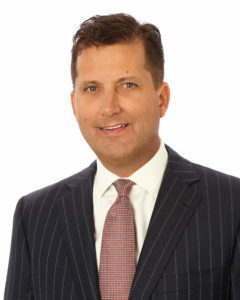 Robert Mohr, Chairman & CEO of Mohr Partners, served as the panel moderator for Bisnow’s Dallas State of the Market event held on May 27 at Banner Place North in Dallas. Mr. Mohr co-moderated the event with Will Hodges, President of Cadence McShane Construction. The panel featured eight industry experts who reviewed the current state of the market and key trends ahead for the next 12 months. The panelists took turns discussing equity, debt, and customer demand; the state of the capital markets, leasing, sales, and development; how the Dallas market is different from other business centers; and, current risks and opportunities in today’s market. “The corporate client is reducing its footprint, downsizing space by a third or more, and that’s for the entire portfolio, not just one office. With all the job growth in Texas, vacancy rates have dropped substantially,” added Mr. Mohr.